through a variety of programs, projects, and opportunities for growth, service and recreation. 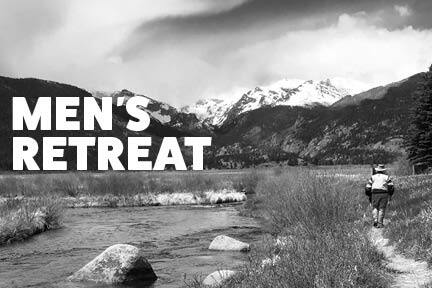 All men of St. Andrew are invited to join new men’s covenant groups that will be forming this May. A covenant group is made up of 8 to 10 men who meet regularly to tell their life stories, share joys and challenges as a disciple of Christ. Covenant groups build closer friendships. About 40 men are now in existing groups that meet weekly or every two weeks. Names are being gathered now for member of new groups that will decide when and where their groups will meet. There are also openings in three current groups if these times work for you: 6:30 p.m. every Wednesday at the church; 7 p.m. every Thursday at the church; or 6:30 a.m. every other Wednesday at Panera Bread on University Boulevard, just south of St. Andrew. A current group member says: “Initially I wanted to be in a covenant group, but did not know why. I did not know the purpose, mission or objectives. But in the past 8 or so months, I feel I have grown both spiritually and socially in my group.” For more information contact Tom Craine or call him at 303-663-9673; or contact Gary Gauden or call him at 720-290-6246. Please let us know if you are interested in joining a Covenant Group. Come try a group and deepen your walk with God and fellow Christians of St. Andrew. All men are invited for a tasty breakfast and great fellowship. Meet at 8:30 am for breakfast followed by a variety of programs. Come at 8:15 for coffee and a bit more fellowship time. This group is open to all men and all ages. The guys will be grillin’ burgers, brats, and dogs. If you like to run a grill, here’s your opportunity to be part of this great group. And, the rest of us enjoy their efforts! Just $5 for a great lunch after church. Proceeds support men’s programs and outreach projects. It’s softball season and registration is now underway for the St. Andrew Men’s Spring Softball team. The spring league will begin the last week of March and will include six games plus a playoff tournament. Games are played on Sunday afternoon at Cornerstone Park in Littleton. All men 18 and over are welcome to join the team. Please stop by the Community kiosk in the Atrium for information and to talk to some of the players. Open to Men of all ages and skiing or riding abilities.